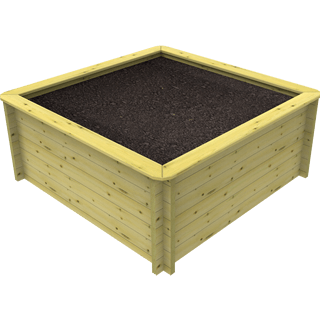 All Garden Paradise Wooden Raised Garden Beds come in a variety of different sizes. Our Square Raised Garden Beds are the traditional Gardeners Friend as there is far less digging than you would have if you were just planting in the ground. Being raised there is no need to walk on the soil which in turn stops the soil from being compacted meaning a higher quality soil for your plants.